Lancôme is one of those brands that has really fascinated me ever since I got into makeup. I think it might be their sleek packaging, and the fact that they seem to come out with products that are kind of unprecedented. 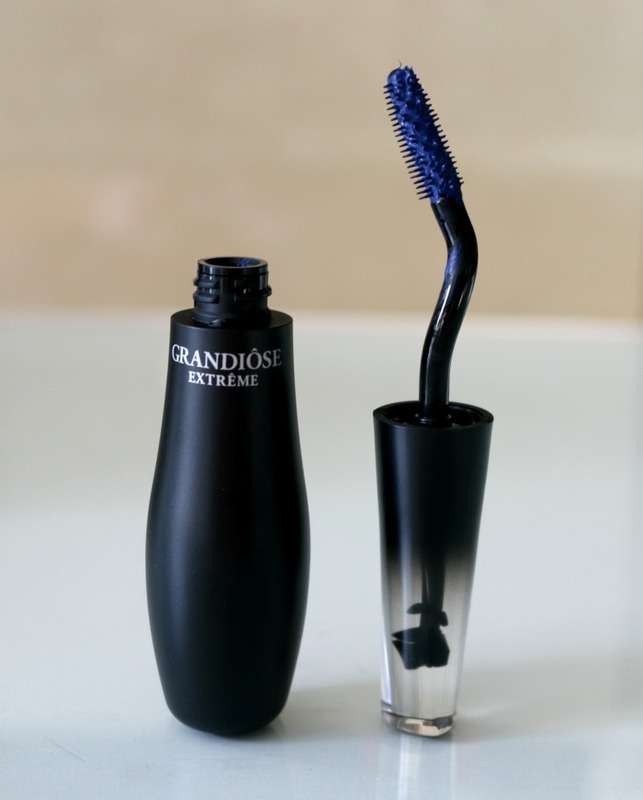 Having never actually tried anything from the brand, I was really looking forward to test some of their latest launches, namely two of their Grandiôse Liners* and their new Grandiôse Extrême Mascara Volume* in Bleu Nuit. 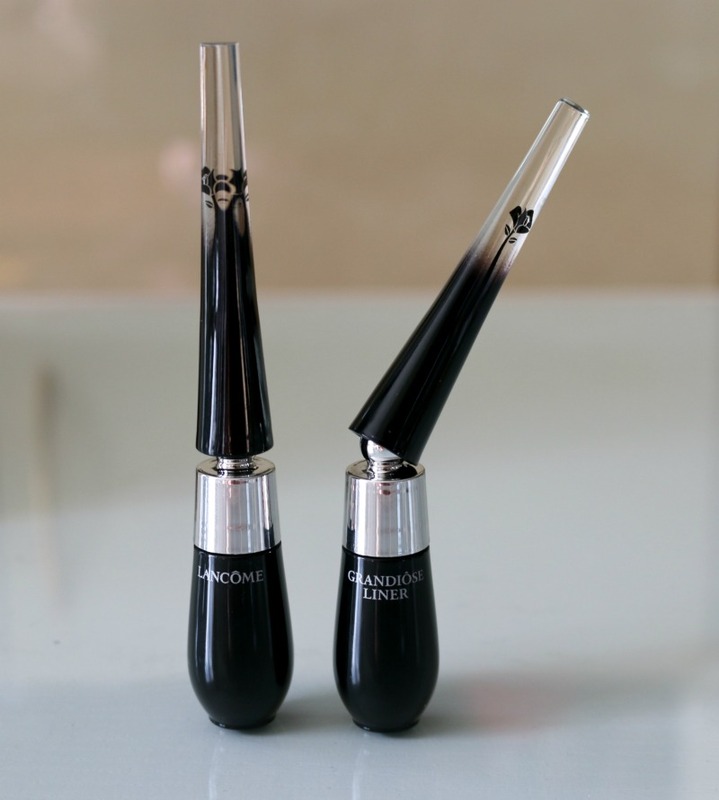 You might be thinking to yourself, great - another liner and mascara release, what's so special about these anyway? Well, wait until you see how these are designed to simplify your makeup application! Notice how the handle is bent on one of these Grandiôse Liners (C$40/US$32)? 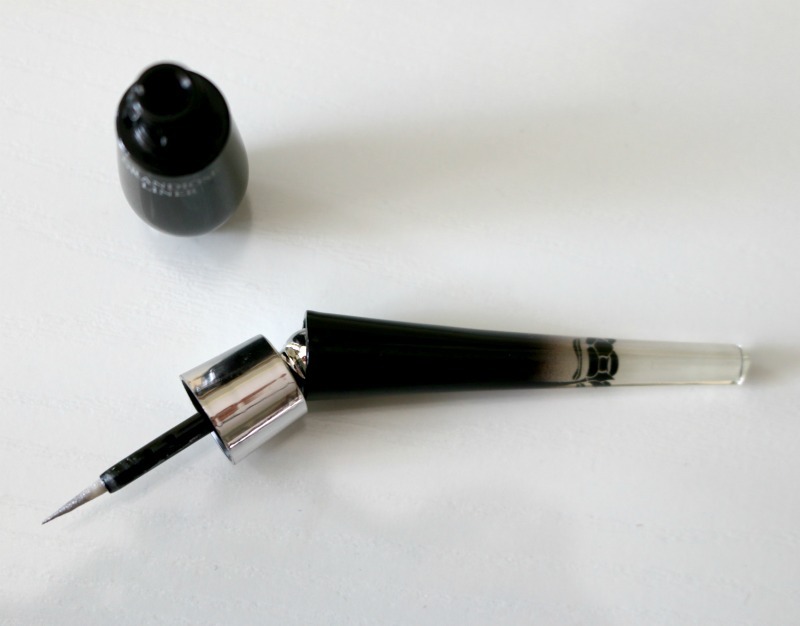 It's not a faulty applicator, but a clever feature that allows you to create a line, using it straight or bend at 35 degrees for your own comfort - because if like me eyeliner isn't your forté, you know how tricky it can be to hold your hand at a certain angle to try and perfect that winged cat eye without ending up with smudges and uneven lines. Not only is the tilt a thing of beauty, but the actual nylon microfiber brush tip is extra fine to help you get closer to your lash line. Now that is what I call innovation! Available in a few different shades, I opted for 02 Brun Mirifique and 07 Silver Snow. 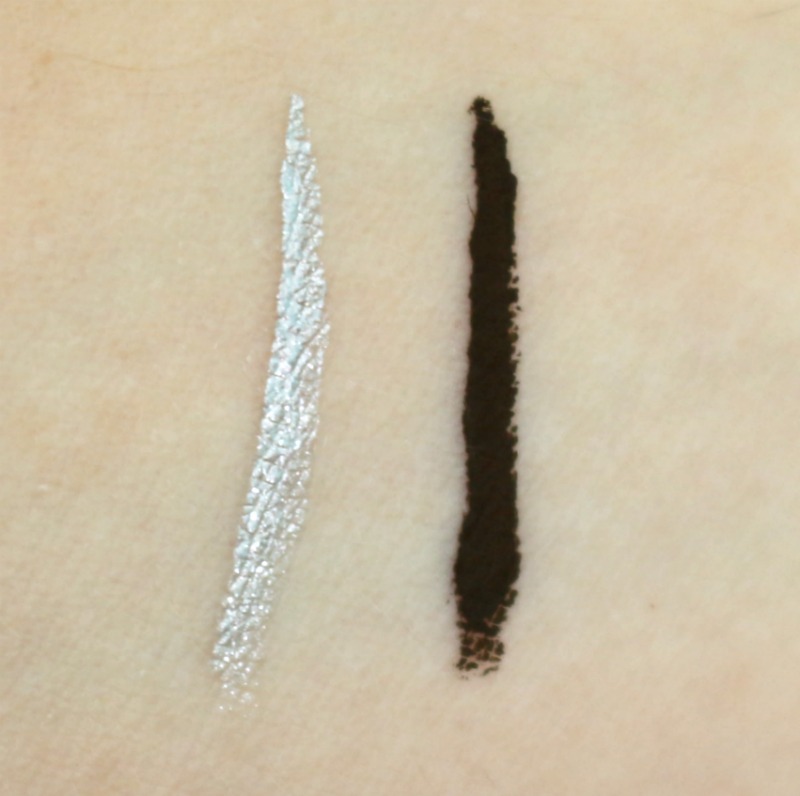 Having never tried either brown or silver in a liquid liner, I wanted to see how these would actually turn out and I have surprisingly quickly taken a liking to both! 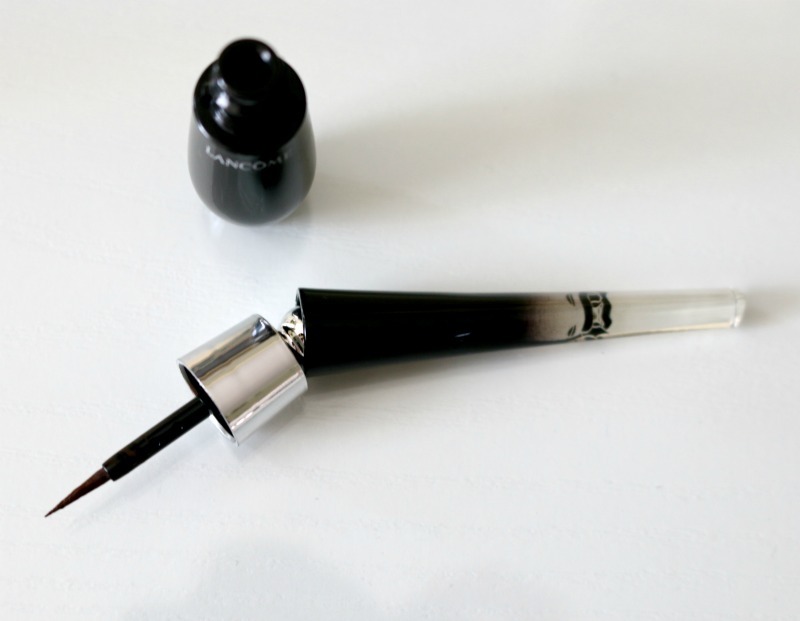 I will say, Brun Mirifique is a very deep matte brown, so much so that it kind of looks like a subdued black, so if you are looking for a visibly brown shade, this might not be the best option out there. Silver Snow, a strong metallic silver, is a thing of beauty and is very opaque which is always a plus. The formula dries quickly, allowing you to layer these on a minute apart if need be, like I did in the eye look you will see below. I experienced a tiny bit of fallout with the second shade, but I feel like it is almost bound to happen when you work with metallic liners and is nothing a little moistened cotton swab can't easily remove. 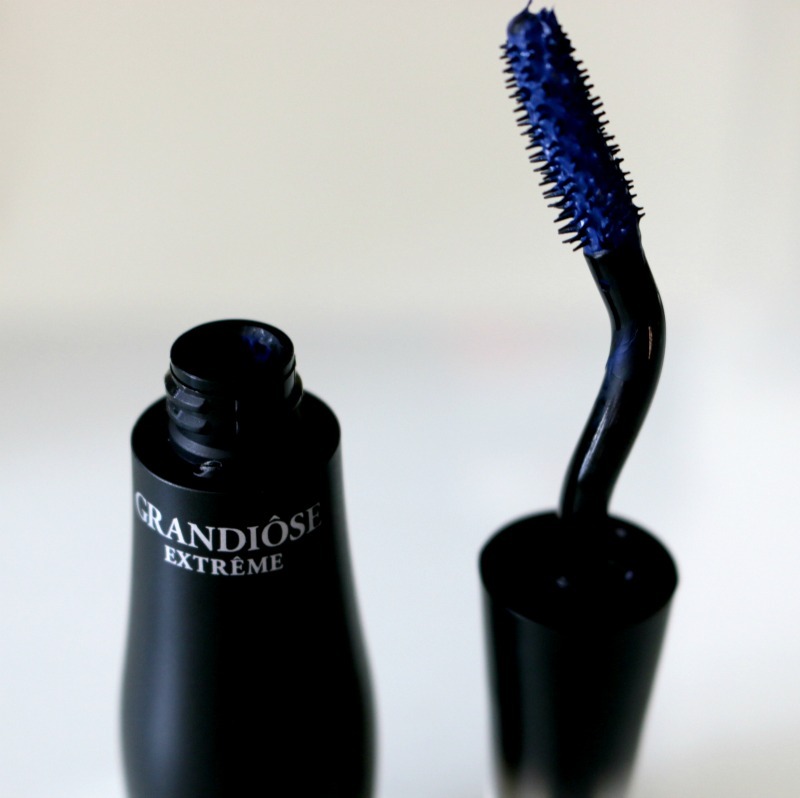 The Grandiôse Extrême Mascara Volume in 03 Bleu Nuit (C$36/US$32) had me a bit scared in all honesty. 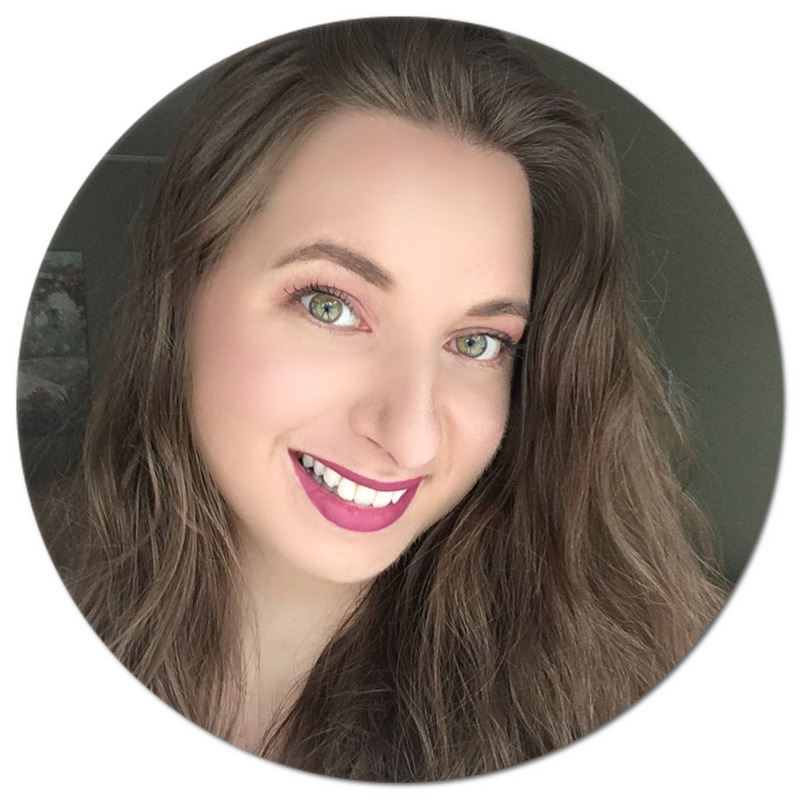 I had previously tried an aqua blue mascara from Hard Candy back in my teenage years and it was a watery mess to say the least, although the colour I really loved. Fast forward about 10 years and here I am giving blue mascara a try once more! What you will notice right off the bat is the funky looking 'Swan Neck' wand. 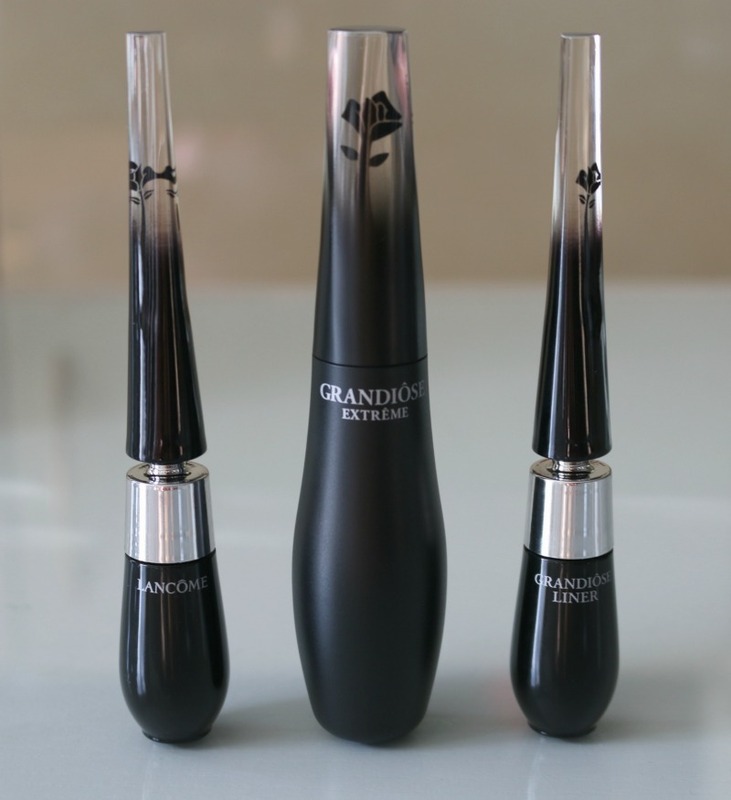 Designed to help you get closer to the root of your lashes and lift them all while adding volume, the concept really, really intrigued me. I was expecting the blue to really stand out, but it actually almost looks black when it dries, and I will only catch it looking blue in specific lighting, which is actually fine by me since I find myself reaching for it quite often this way. The formula isn't too wet nor too dry, and doesn't flake throughout the day. As you can see, the blue mascara is quite subtle and not as dramatic looking as I expected, but still does its job by thickening my lashes and opening up my eyes. And there you have it, my first dip into the world of Lancôme! Have you tried anything by this brand? The most convenient packaging,.. Nice review,..